October, 1973 was a traumatic period for the Arab-Israeli conflict which greatly affected the American economy. On October 6th, Arab armies attacked Israel on Yom Kippur morning and the ensuing war resulted in an Arab oil embargo against the United States that brought long lines at gas stations, a spike in prices, and rationing. The situation for Israel grew dire at the outset of the conflict, but after 21 days of fighting the Israeli Defense Forces proved victorious on the battlefield, though it can be argued the war resulted in a psychological defeat. No matter how the outcome is evaluated the situation for Israel could have been a lot worse had it not been for Ashraf Marwan, an Egyptian who spied for the Mossad who happened to be Egyptian President Gamal Abdul Nasser’s son-in-law, and following Nasser’s death a close aide to his successor Anwar Sadat, which provided him with access to his country’s deepest secrets. The story of how Marwan provided the Mossad information that should have allowed Israel to be on greater alert when the war came is effectively told by Uri Bar-Joseph, an Israeli academic with expertise in Israeli intelligence, in his new book, THE ANGEL: THE EGYPTIAN SPY WHO SAVED ISRAEL. Bar-Joseph’s narrative follows Marwan from his rise to a position of power within the Egyptian government to his untimely death in 2007 when he was probably pushed over a terrace and fell to his death. Marwan was a corrupt egoist who felt he deserved a powerful position in government. His marriage to Nasser’s daughter was a step in achieving his goals. The impediment was the fact that his father-in-law held a very low opinion of his son-in-law. Intelligence sources made Nasser aware of Marwan’s avaricious lifestyle and he tried to get his daughter to divorce him. When she refused Nasser allowed Marwan to work at a low level position in his office that he greatly resented, which in large part provided a rationale for him to turn to espionage to acquire wealth. Bar-Joseph traces how Marwan gained access to Egyptian state secrets and analyzes why he chose to spy for Israel’s greatest enemy. In assessing Marwan, Bar-Joseph concludes that his subject engaged in espionage for two reasons. First, was financial. Marwan needed money, but despite his contacts he was limited in influence because of Nasser’s Spartan approach toward his family. If he was going to achieve the lifestyle he craved he would have to find a source of income that Nasser’s intelligence people could not uncover. The second motive was Marwan’s ego. Marwan craved power, but realized he was blocked by his father-in-law. In his own mind he would show Nasser by turning to his father-in-law’s greatest enemy. Disloyalty to Nasser was the solution for his financial and psychological crisis. Bar-Joseph does an excellent job explaining the marriage of Marwan and Israeli intelligence. He describes in detail how Marwan offered his services and the vetting done by the Mossad. The author takes the reader inside the Israeli intelligence community as they evaluate Marwan the person and as the relationship flourished, as well as the information that he made available. Bar-Joseph discusses a number of important personalities, the positions they occupied, and their reactions to each other. The key for the Israelis was to determine whether Marwan was a double agent. Almost immediately the valuable material he provided trumped the idea he could have been playing them. Though Bar-Joseph has a somewhat trenchant writing style, the picture he paints and many of the details he shares have never been published before and makes the book a very important work. One of the keys to Marwan’s success was the Sadat-Marwan relationship as each needed the other. Once Sadat assumed the Egyptian presidency he needed a link to Nasser’s family which did not think a great deal of him. For Marwan, Sadat was a vehicle to improve his overall position in government to allow him to gain access to state secrets and new sources of wealth. 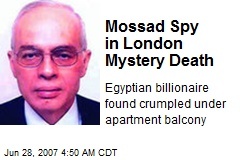 Marwan’s success was his ability to provide the Mossad Egypt’s most closely guarded secrets concerning plans to attack Israel. For example, plans to cross the Suez Canal and establish a bridgehead in the Sinai, which came to fruition in October, 1973. Further he provided notes of Egyptian meetings with the Soviet Union that showed that Moscow did not think Egypt was ready for war as well as the minutes of a Sadat-Brezhnev meeting in 1971 that was later shared with the United States. Because of Marwan Israeli leaders developed a very accurate picture of Egypt’s intentions regarding war and peace, particularly that if Egypt attacked it would not be a comprehensive move to reconquer the Sinai. 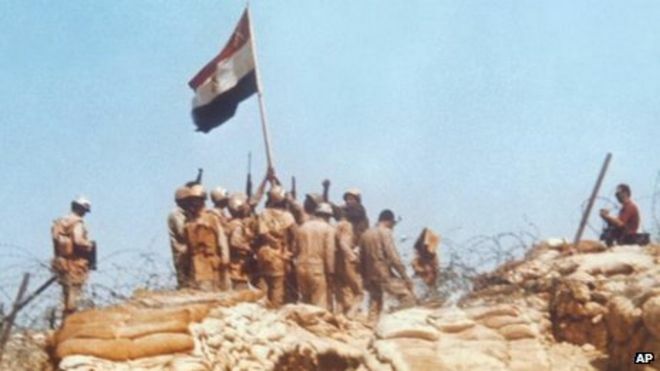 Israeli military intelligence firmly believed, much to their detriment in October, 1973 that Egypt would never attack until they solved the problem of Israeli military superiority. Bar-Joseph traces the development of Sadat’s strategic thinking as he pressured the Russians to provide the necessary long rang planes, missiles, and air defense to allow an attack on Israel since he did not see a way to recover the Sinai through diplomatic means. By August, 1973, the Russians would provide most of the necessary weaponry, leaving out SCUD missiles, a key item because Israeli military intelligence believed that Sadat would never launch an attack until he received the SCUDS. As early as June, 1973 Marwan warned the Israelis that Sadat was changing his approach to war and decided he could attack Israel even if his forces were inferior. The problem for Israel was that the head of its Military Intelligence branch, General Eli Zeira refused to revise his thinking and could not accept that Egypt possessed the where with all to launch an attack. Further, Zeira refused to accept the fact that Marwan was not a double agent. When the decision for war was made and Sadat asked the Russians to leave Egypt, Zeira believed that Sadat would now take a more defensive approach toward war, but for Sadat he had removed a major impediment to launching an attack. What is fascinating about Bar-Joseph’s account is the detail he provides, particularly, an almost hour by hour account of the two days leading up to the war. For example, the Israeli reaction to Marwan’s warning of October 4th that war was imminent, but the bureaucratic structure of Israel’s intelligence operations did not allow for the proper response and warnings to Golda Meir’s government. The author does a credible job following the actions and views of all the major historical figures who were involved in the decision making on the eve of the fighting. 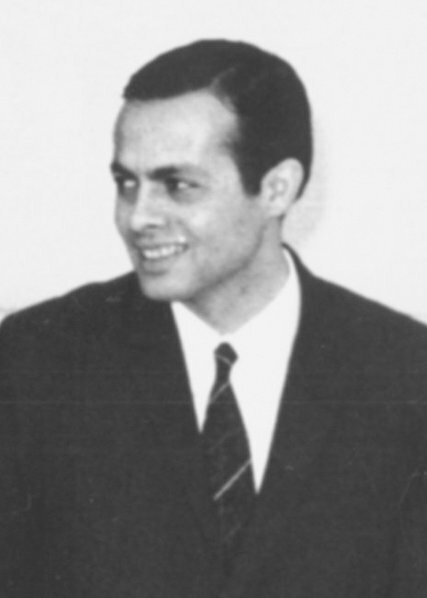 Even though Eli Zeira and those he influenced were unwilling to take Marwan’s warnings seriously which resulted in a spectacular intelligence failure, his information did speed up Israel’s reserve call up and other crucial decisions that saved them from an even greater military disaster than what occurred. Once the war ended Marwan assumed a greater diplomatic role working directly with Sadat. He became the liaison with Libya, Saudi Arabia and Syria, but also with Henry Kissinger as the United States tried to achieve a lasting ceasefire. Even as Marwan worked to bring unity to the Arab world he was reporting to the Mossad. Marwan’s influence then began to wane and he was forced to leave the government on March 1, 1976, but remained in the background working on a weapons consortium. After Sadat’s assassination in 1981 he began a new chapter in his life moving to London. Throughout he maintained his contacts with the Mossad, but after the Camp David Accords in 1979 he became a low priority for Tel Aviv. Bar-Joseph spends the latter part of his study conjecturing on who outed Marwan as an Israeli spy, and how he died in 2007. His speculations do not reach concrete conclusions on either score, but Marwan dies shortly after he was outed, leading to all kinds of conspiracy theories that the author addresses. Overall, Bar-Joseph describes an amazing life integrating all the major players in Marwan’s career as a spy. Though, at times the book becomes bogged down in detail and is overly wordy, it is worth exploring because it is an important story that deals with a very sensitive topic.